TB of the CNS accounts for approximately 1% of all cases of TB. It carries a high mortality rate and a distressing level of neurological morbidity. It disproportionately afflicts children and HIV-infected individuals. Of all patients with CNS TB, 50% are younger than 2 years of age, and the disease is most common in children between 6 months and 4 years of age. In children CNS TB is a severe form of extrapulmonary TB. The two common presentations of CNS TB in children are TB meningitis/meningoencephalitis and tuberculoma/TB abscess. In both situations, brain damage results from a cytokine-mediated inflammatory response, which causes vasculitis, obstructive hydrocephalus, and cranial nerve palsy. TB meningitis in children is associated with an approximate 50% mortality rate, and most of the survivors have permanent neurological sequelae with severe disability. 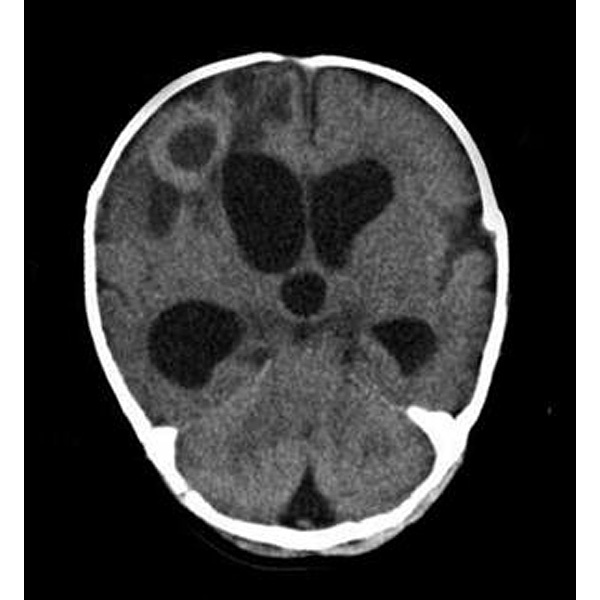 This disability is multifactorial due to persistent or progressive hydrocephalus, multiple cranial nerve involvement, vasculitis leading to cerebral infarcts and stroke, and hemiplegia or paraplegia. Early diagnosis improves outcome significantly. Ethnicity and stage of disease, headache, convulsions, motor function, brainstem dysfunction, and cerebral infarctions are all factors independently associated with poor outcome (1). 2 million deaths per year: TB still is one of the deadliest diseases in the world, killing nearly 2 million people every year. It continues to be an important cause of morbidity and mortality for children worldwide. Epidemiology same as with adults: Inasmuch as children acquire infection with Mycobacterium tuberculosis from adults in their environment, the epidemiology of childhood TB follows that in adults. Diagnosis difficult: The initial clinical manifestations are protean, and early diagnosis can be problematic as M. tuberculosis is difficult to detect by rapid tests. Effective treatment difficult: Although the response to antituberculosis chemotherapy is generally favorable, complications commonly occur, particularly if the diagnosis is delayed. Recent cases of multidrug-resistant TB have been described. Adjuvant treatment with dexamethasone improves survival rates for patients with TB meningitis but probably does not prevent disability. Thalidomide may be helpful as a “salvage therapy” in patients with TB meningitis and tuberculomas not responding to anti-TB drugs and high-dose corticosteroids. Surgery may be needed in some cases, e.g., a shunt for hydrocephalus or excision of tuberculomas.